And the rash of articles suggesting that it is are misguided. I hadn’t intended to write on this topic: the situation in London is still in considerable flux, making long-term prognostications about China, Europe and the UK at best difficult. But there have been a spate of “the winner of Brexit is China!” articles since the vote (see e.g. here, here, here, and here) that are misplaced. Other pieces that more accurately characterize China’s reaction have been published too (see e.g. here, here, and here) but, given its prevalence, the “China as winner” argument needs to be taken on. 1) Xi Jinping and other Chinese officials specifically said they did not want to see a Brexit. It would have been easy for them to make non-committal statements about non-interference in other countries’ political affairs and move on. Instead, the Chinese leadership ensured that the “Remain” campaign was able to make the case, accurately, that none of the major Asian economies want to see the UK leave the EU. While this had little public traction, it helped to demolish a crucial Brexiteer argument that a world beyond Europe was salivating at the prospect of free trade deals with the Brits. According to the “China Wins Brexit” camp, this public positioning was either a ruse or an act of politeness. Privately, the Chinese government was supposedly rooting for Brexit because it would make the EU less influential, weaken the West, leave China’s assertiveness in Asia unchecked, and increase the opportunity to “divide and conquer” Europe. This argument fundamentally misunderstands the entire orientation of Chinese strategy towards the EU, and the UK’s very particular role in it. 2) China, along with Japan and India, sees the UK as the best gateway into the EU single market for its growing investments. 3) The UK has been China’s chief ally in its increasingly fraught relationship with the EU on trade. In a context where Chinese industrial overcapacity is a matter of acute tension for European industry, the UK is one of the chief advocates for China to be granted market-economy status. London has been a major roadblock to EU rule-changes that would have permitted higher tariffs on Chinese steel. 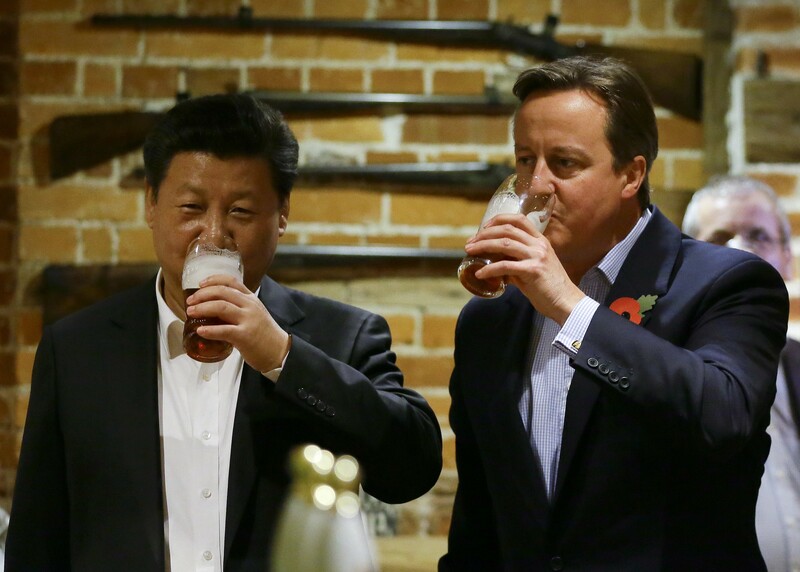 The UK was one of the only states to push seriously for FTA negotiations with Beijing. The departure of the UK will not make it easier for China to pursue “divide and rule” tactics on trade policy — it will remove China’s single biggest ally and tilt the balance of intra-EU politics on in favor of those advocating a tougher stance. The greater ease of concluding a bilateral FTA with the UK further down the line does not even begin to compensate for the long-term impact on the pattern of economic relations with what is, until Britain leaves, the world’s largest market and — though some appear to be confused about this fact — negotiating bloc. 4) China has been a consistent supporter of the European project. There is little doubt that China maneuvers to play states and groupings off against each other within the EU to influence policy outcomes in its favor and to strike advantageous bilateral commercial deals. It does not follow from this that China would be pleased to see a fundamental division of the EU itself, let alone its complete unraveling. Beijing has long wanted to see the EU function as one of the poles in a multipolar world. It does not view a strong EU solely within the framework of a “strong West” but as a balancing and moderating influence on U.S. power. European attitudes to China are believed to be more cooperatively disposed than U.S. attitudes, with the AIIB imbroglio only the most striking recent example. A well-functioning EU is also seen as a source of stability and order, and a critical partner to China for managing a complex array of global challenges that go well beyond hard security (without excluding that either), whether in the realm of finance, regulation, infrastructure, climate, the environment, development or a litany of other areas. China has never been one of those powers that lazily caricature the EU as either ineffectual or overweening. Beijing is one of the most sophisticated external actors in working out precisely how the EU matters to its objectives, where competences lie, and how power works between member states and the EU institutions. China was disappointed when the push for an EU constitution failed. It has provided important symbolic backing to the euro, notably during the Eurozone crisis, a period when Beijing had ample opportunity to undermine the EU discreetly if that was its real objective. China is evidently not a communautaire saint and it is always ready to rebalance its political tactics as circumstances require. There have been ebbs and flows in how much Beijing seeks to transact through Brussels and how much through member states. But China has demonstrably identified its interest with the EU’s continued success — and not as a provisional, quickly adjusted policy, but a clear, well-embedded, long-term orientation. Recent developments in the EU’s policies in Asia are a relatively small part of this big picture. Beijing was certainly not happy to see, for instance, the tougher EU statement on the South China Sea. But while Beijing certainly cares about the EU’s stance — for reasons of legitimacy if not enforcement capacity — the idea that this issue now trumps all other considerations grossly overestimates the salience of the issue in the broader context of Chinese strategy towards the European Union. China doesn’t like “splittist” referendums succeeding. On the other hand, the demonstrably damaging impact of the referendum on the UK’s interests and the chaotic political aftermath has provided ample material for those arguing that democracy is a dangerous thing. In theory, there are political opportunities presented by the fact that the UK may be pushed to develop closer ties with states outside the EU to shore up its economic and strategic position. But there is a country that looms larger than China in this respect: the UK may need to work even harder to demonstrate its transatlantic bona fides during a wobbly phase with Washington, where there are now serious questions about the UK’s waning value as a partner. These issues will take clearer shape in the months to come. But the broader forces at play in the referendum are unequivocally bad from a Chinese perspective. If there is a revolt against globalization, China is its embodiment. A western world that is roiled by populism, hostility to trade and antipathy towards elite-led efforts to manage global order cooperatively is not a congenial place for Chinese interests. Part of the fear of the Brexit vote is that it is just the start. All sorts of geopolitical developments distract and weaken the West, reducing its collective ability to stand up to Chinese assertiveness. Each and every time, there are “China is the winner!” articles published in the aftermath as if Beijing’s predominant impulse is anarchic pleasure at others’ incapacity, regardless of what the other costs might be. Most of the time, the answer is a far more complex mix of trade-offs. In this case, however, it is not even that ambiguous. China didn’t support Brexit before the vote and it doesn’t now. There will doubtless be a couple op-eds in Global Times and reactive quotes from Chinese “strategists” that make hubristic countervailing arguments. But if there’s one thing the Brexit vote surely taught us, it’s to beware glibly persuasive newspaper columnists whose interests are more bound up in political positioning than in truthfully identifying their country’s genuine long-term interests. Cross-posted on the GMFUS blog.